Born in France in 1923, André Morin’s passion for engineering and design was unmistakable, even at a young age. As a teenager, Morin was already designing small aircraft, often selling his hand-drawn plans. A.B.C. began producing motorboat and airplane engines prior to World War I, and by the early 1910s, they began producing engines for motorcycles and cyclecars. By 1920, they formed a new company called A.B.C. motors to make airplane engines, motorcycles, and a new light car. In 1979, ACOMA introduced the Break, or type 790, which used the same chassis and a similar engine as their Super Comtesse. 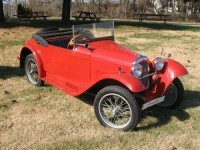 This four-wheeled two-seater version offered a much larger, boxier body design with an interior volume of 1 cubic meter. The “L-Category” is a class of cars and mopeds in France that can be driven without a driver’s license. 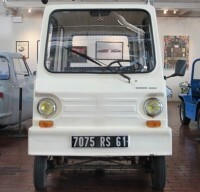 This new category called sans permis (without license), began in the mid 1970s, and ACOMA became a large manufacturer of these modern microcars, taking 30% of the market. The Super Comtesse is an updated version of the Mini-Comtesse, which was famous for its instability. 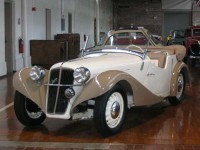 The Super Comtesse was produced eliminating the 3-wheel design, and used a conventional (and more stable) 4-wheel layout. In 1880, Heinrich Kleyer founded a bicycle business and by 1900 he moved to automobiles. During World War I, Adler built trucks, transmissions for tanks, and airplane engines. By 1928 Adler, employed 6,000 and was making 60 cars a day in addition to commercial vehicles and bicycles. Aero began as a company making and repairing airplanes. As the airplane business slowed, Aero began to consider manufacturing other products. 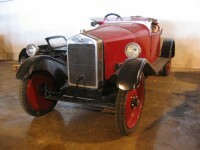 After three years of production of the Aero 10, Aero introduced an updated version of this car in 1931. The new car was called Aero 18. Aero automobiles were manufactured in Czechoslovakia from 1928-1947, when the automobile industry in that country was nationalized. When founded in 1925, Aero mainly produced airplanes. 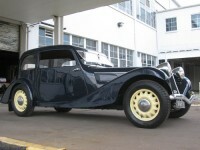 With the introduction of the Aero 30 in 1934 Aero took a giant step forward in its car business. Introduced in 1914, the Aero-Sled Company of Chicago, Illinois, marketed their propeller-powered vehicle as both a practical means of winter transportation and for the new winter sport, motorized ice-sledding! 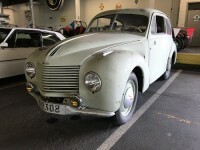 Aixam is France’s largest Microcar manufacturer with about 40% of the French market. 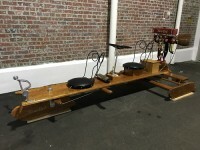 This particular Aixam is unique because it was made in India by the Indian scooter maker Kinetic. The Alfa 2600 was Alfa Romeo's flagship car that succeeded the Alfa Romeo 2000. 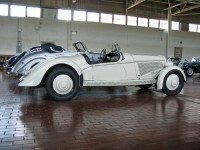 It is a significant car because it was the first Alfa to be powered by an inline 6-cylinder engine. Introduced in 1972 and named after the Tipo 158 racing cars of 1939-1950, the Alfetta Saloon utilized a completely new drivetrain for production Alfa models. Introduced at the Geneva Motor Show in 1966 to replace the aging Giulietta Spider, the Battista “Pinin” Farina-designed Spider was based on the Giulia 105 chassis.